Jannah Hotels & Resorts has unveiled plans to expand in Ras Al Khaimah this year as the brand looks to tap into the undersupplied market in the emirate. The Abu Dhabi-based hotel operator expects to open the 100 hotel apartment and 24 villa Jannah Resort & Villas in December. 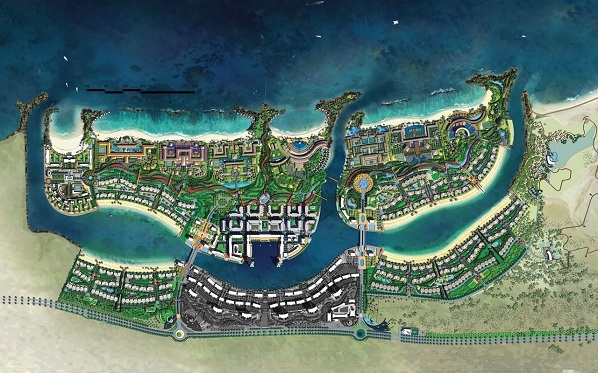 The development is located in Rak Properties’ seafront Mina Al Arab project. “Ras Al Khaimah is close to Dubai, and we can have packages for people staying in Dubai as well as Ras Al Khaimah: it has an airport, and today it is not an overcrowded or oversupplied market,” said Nehme Darwiche, the chief executive of Jannah Hotels & Resorts. Jannah Hotels & Resorts, which is majority-owned by Abu Dhabi-based Bin Rubayeh Group, was launched in 2013. In 2020, Jannah Hotels & Resorts expects to open a mixed-use high-rise tower in Sharjah that would include retail space, offices, hotel apartments and a hotel. It would be owned by the Bin Rubayeh Group. At present Jannah Hotels manages Jannah Burj Al Sarab in Abu Dhabi, serviced apartments Jannah Eastern Mangroves Suites and Jannah Place Abu Dhabi, while in Dubai it operates Jannah Marina Bay Suites and Jannah Place Dubai Marina. Ras Al Khaimah is just a 45-minute drive from Dubai International Airport and is the perfect getaway for leisure, adventure and luxury travel destination. Visitors to Ras Al Khaimah will enjoy idyllic sojourns on terracotta beaches and resorts, adventure activities including water sports, micro-lighting, mountain climbing and kayaking, as well as an eclectic selection of international gourmet experiences and world-class spas set to genuine Arabian ambiance and hospitality. Jannah Hotels & Resorts has been nominated for the title of Middle East’s Leading Serviced Apartments Brand at the upcoming World Travel Awards Middle East Gala Ceremony.